Last month, five barred owls were brought to the Cobequid Wildlife Rehabilitation Centre in Hilden, N.S., facility after being hit by vehicles. 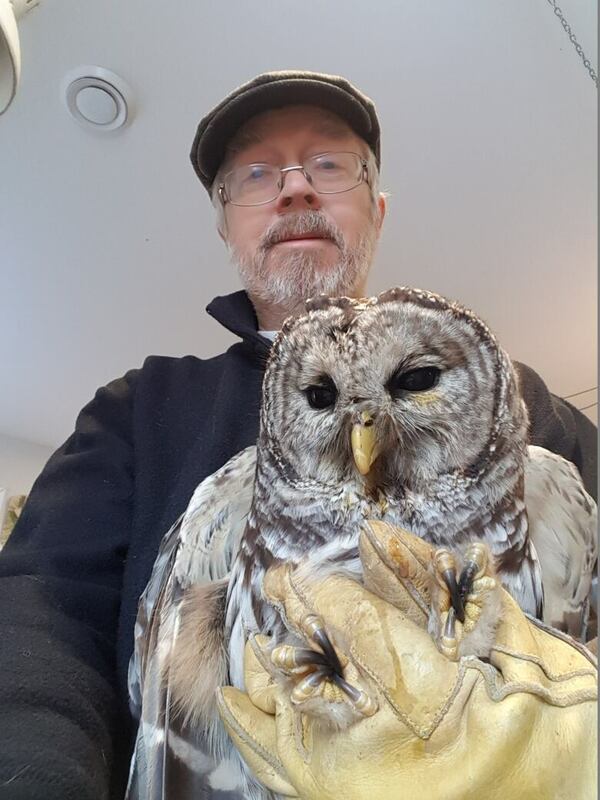 It seems everywhere Murdo Messer goes these days, there's a barred owl in his presence. 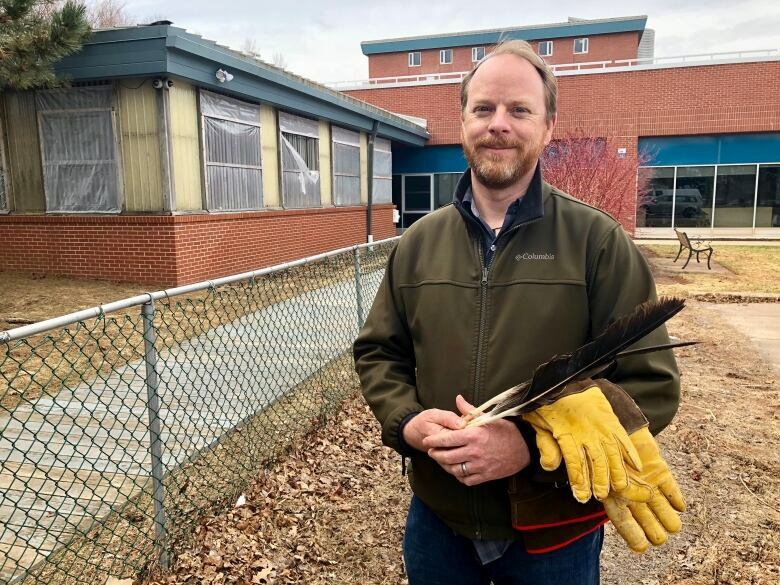 Messer is the co-founder of the Cobequid Wildlife Rehabilitation Centre. Last month, five barred owls were brought to the Hilden, N.S., facility after being hit by vehicles, up from the one or two normally there at any given time. On Tuesday night, another barred owl came close to needing a visit courtesy of a drive Messer was on. "This flash passed in front of the car's headlights and I thought, 'Wow, what the heck was that?' And it was actually a barred owl," said Messer, who estimates it flew within two metres of the front of his vehicle. Anecdotally, there has been an increase in Nova Scotia in the number of barred owls, which get their name from the patterns of bars found on their feathers. Messer said owls get hit by vehicles because when they're flying low across roadways, they're focused on prey and not vehicles whizzing by. 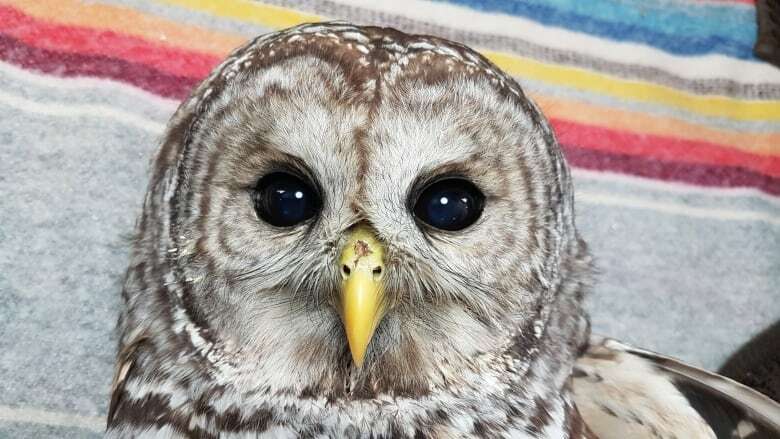 The average stay at the wildlife centre for an injured barred owl is between four and six weeks. He said owl sightings are rare because they're nocturnal. "Most people aren't outdoors this time of year because it's cold and unpleasant, but even if you're walking in the woods, their camouflage is so good that unless you're actually looking for them, chances are you won't see them," said Messer. So, what's fuelling the apparent increase in barred owl numbers? Dr. Dave McRuer, a wildlife health specialist with Parks Canada, said changes in animal populations can be due to a number of causes. He said the winter of 2017-18 didn't have much snow, which meant animals such as snowshoe hares, which are white, weren't as camouflaged. "The snowshoe hares stuck out like sore thumbs last winter and they were more likely to be predated upon by other predators like foxes and great-horn owls," said McRuer. He said barred owls largely subsist on small rodents such as mice and moles, and a snow shortage would also mean less protection for them. The owls, he said, "could have done particularly well in terms of breeding and producing young last winter and last spring because of an increase in food availability and as such, there just may be more owls on the landscape this year due to that sort of surge in prey availability last winter." He said a possible reason for the increase in collisions is the litter humans throw out of their vehicles, which attracts rodents. "When there are more rodents, there are more predators to go after them, so you can possibly get more hawks and foxes and owls looking for food along our roadways, and then they're more susceptible to being hit by vehicles," he said.